Hello Sheeple: Are Police a bigger hazard than speeders? 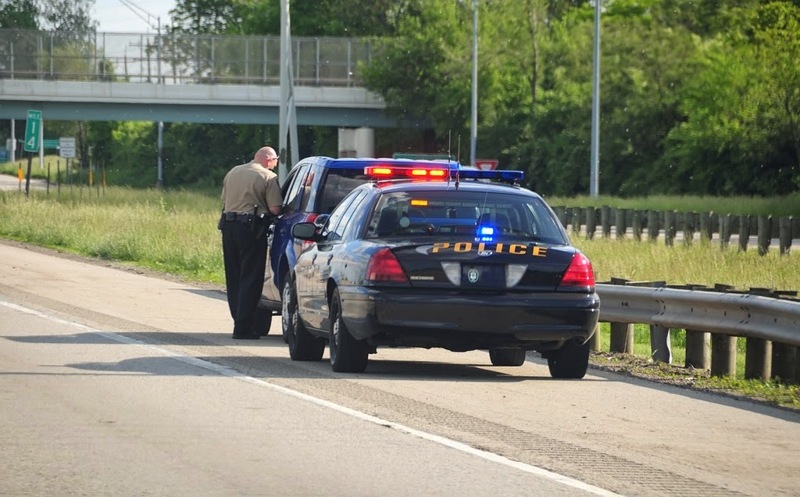 Are Police a bigger hazard than speeders? As a truck driver, I see police with people pulled over every single day. Sometimes 4-5 people in a night pulled over. Occasionally they have people just stopped in the outside lane because there isn't anywhere to actually pull over (and those people are probably idiots that just stop in the road anyway). By law, people are supposed to move over a lane on the highways when driving past cop cars and emergency vehicles on the side of the road, and so everyone has to change lanes to go around them...and that's a pain during rush hour. When traffic is heavy, it can be more difficult to change lanes, and sometimes people are not the most considerate and don't bother to leave room for that. Then you also have the looky-loos who stop paying attention to the road to try and see what's going on. And all of that become road hazards that lead to accidents that become road hazards that lead to accidents that become road hazards...and is an endless loop that ends with everyone dead. Probably not exactly though. I'm sure anyone who has driven past these cops who have people pulled over, probably for doing 70 in a 60 or similar, knows what I'm talking about. Those people speeding down the road, in my opinion as I haven't researched, are less of a danger than the cops who have them pulled over. Generally, people are only speeding when there isn't high amounts of traffic, because when there is traffic it's really hard to speed. Does speeding really harm anyone? Probably no more than anyone else doing the speed limit. The real danger comes to the speeding vehicle and the likeliness of them surviving an accident and that should be their own decision. Maybe people would be safer if cops spend less time sitting around waiting to pull people over for speeding or not wearing seat belts and actually served and protected people as their motto misleadingly suggests they do.